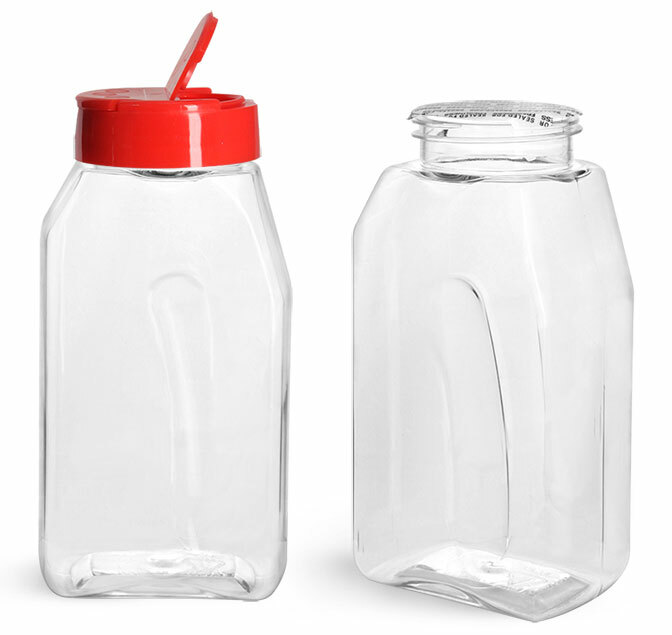 These clear PET spice bottles come with red lined spice caps featuring a PS113 liner to help maintain freshness of your product. 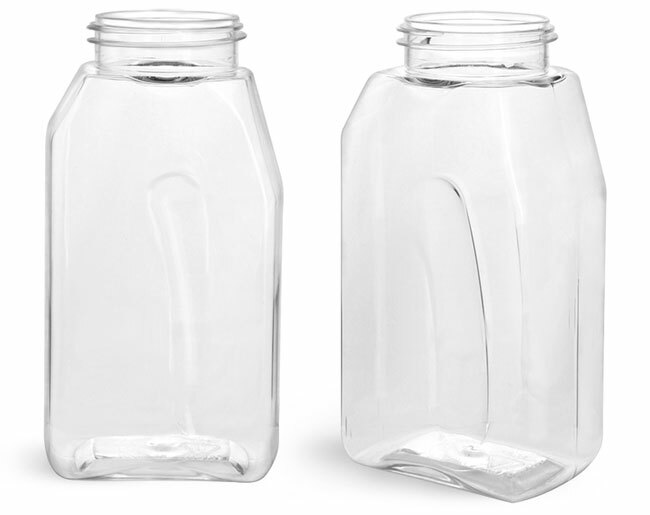 Each liner is printed with the phrase "Sealed for Freshness" and adheres to the top of the bottle when the closure is securely screwed on. The spice cap has two openings for dispensing product; one side of the snap cap has three holes (0.300" diameter) for sifting, while the other features a spoon size opening. 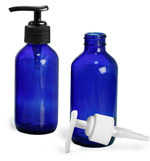 This plastic bottle and cap combination could be ideal for all kinds of herbs and spices. Click the "Add-ons" button below to view compatible label options.